In today’s workplace how you articulate your value proposition to the organization can make or break your career possibilities. Advocating for yourself, articulating your value and utilizing your branding statement as a part of your personal development strategy are all crucial to long term career success. This presentation is designed for those who want to build a stronger more distinguished career by utilizing brand marketing principles and the best of personal messaging techniques. Your future at work is tied to who you think you are…as well as who your customers, clients, partners and prospects think you are. Karyl Innis, CEO and founder of The Innis Company, will introduce attendees to the idea of personal branding and the factors that effect how people decide just who they think they are. This is the third event of our four-part Alan Meder Empowerment Series. The series is intended to support career development and the advancement of women in the investment management profession. 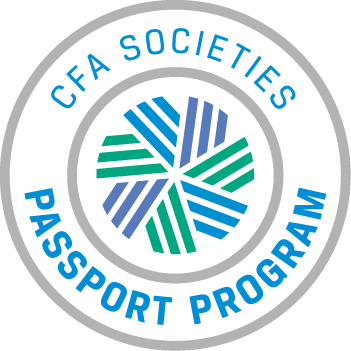 Read more about the previous events of the series Taking Control of Your Career and Tips and Tricks for Negotiating for Yourself on the CFA Society Chicago blog! Attendance at previous Empowerment Series events not required to attend. 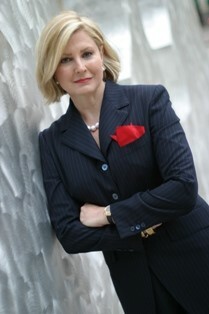 Karyl Innis knows why successful people succeed and when they don’t, how to help them. She is a career expert, the CEO and founder of The Innis Company, which is a global career management consulting company and one of the most successful woman-owned businesses in the country. The Wall Street Journal calls her advice “the best you ever heard.” Every year thousands of people create strategies and take action to accelerate their careers fueled by her coaching, advice, books, models, speeches and workshops. Innis has spent years working with senior leaders to break through the “barriers” that prevent them from obtaining the highest organizational levels. She creates breakthrough strategies for leaders seeking to grow and transform their work lives. She is an advisor to leaders around the world on issues of their own career success and the career development and management of their employees. Her deep knowledge of corporations, organizations and careers, coupled with her personal presence, places her in hundreds of venues: stages, boardrooms, convention halls, interview rooms, conference centers, training rooms, sound stages, radio stations, local and national television studios. Innis is featured in numerous corporate videos and training programs and her long list of media credits include video, television, newspapers, magazines, journals, podcasts and radio. She authored In Search of a Job: Lessons from 10,000 Executives, It Isn’t Easy: A Manager’s Guide to Employee Separations, Personal Branding: Lessons from an Expert and six other career success books. Regular, Candidate, and Affiliate Members may apply function tickets as payment for Non-member or Student Member. Credit card required to guarantee ALL reservations except for reservations using Function Tickets. Day-of-event registrations accepted on-site only if applicable and space available. There is a $5 surcharge for walk-ins. Visa, MasterCard, American Express, Discover and Diners Club are accepted. Cancellations accepted until 5:00 pm, March 11th.